The 10 Best Museums in Texas! Feel like immersing yourself in fascinating art and history for a few hours? Well, you can feed your curiosities at one of the many excellent museums in Texas. These 10 museums preserve thought-provoking works for the public. No matter which you chose, you will surely walk out of these Lone Star State museums with more knowledge than you walked in with. There are permanent exhibits of art from famous artists such as Van Gogh here, as well as come-and-go exhibits that feature anything from paintings, sculptures, ancient artifacts and much more. You can even watch movies here. This is one of the largest art museums in the United States and beckons a visit if you’re ever in this metro area. This large, interactive museum permeates an excellent vibe from the moment you walk in the door. Friendly to adults and children alike, here you can learn all you need to know about the history of our great state of Texas. Pop on over to the only IMAX theater in the city for imaginative flicks and check their calendar for fun events throughout the year. This immensely-chic museum is worth spending hours in. With exhibitions indoors and outdoors on their beautifully-manicured lawns, it definitely makes for a day of exploring absolutely fulfilling and calming. This museum offers four different spaces, one of which is their outdoor sculpture garden. In our humble opinion, the arrangement of their exhibits is welcoming and thought-provoking. 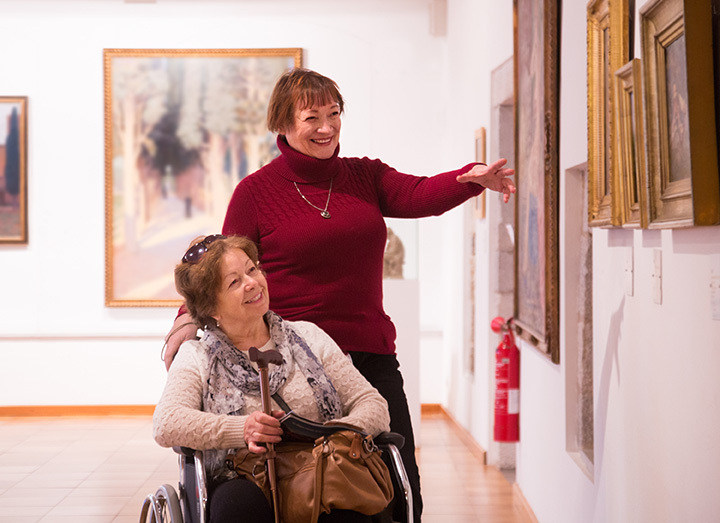 Guests will find a lot of Spanish Art and can enjoy the galleries along with workshops and educational programs that get the public involved in. This museum holds almost 3,000 objects of art dated from 1945 to the present. The most popular displays of art include pop and minimalism as well as German art of the 1970s and 1980s. Featuring a healthy mixture and appreciation shown of traditional and contemporary Mexican and Latino art and culture, this spot is a can’t-miss. There’s not a better place to have this type of eclectic museum than in the openly welcoming city of Austin. This is the fourth largest Holocaust memorial museum in the entire United States. There are permanent exhibits here, however there are also new and inventive exhibits that continue to honor those that have suffered in the Holocaust. This place allows visitors to learn about the history of Texas’ art and culture with their great use of the latest cutting edge technology for museums. This museum is popular for student field trips and for hosting events like weddings and corporate parties. This presidential library and museum is a melting pot of digitized library materials, interactive educational programs like the Situation Room, a full-sized replica of the Oval Office of the White House and so much more. As Texas’ largest history museum, visitors will take on the challenge of observing every inch of this 26,000 square-foot museum. Filled with history and several interactive exhibits as well, this historical museum will keep you engaged for hours. Visitors have fun with the real-life sized pioneer town, and video/film exhibits as well.